Hey Tim, I would strongly suggest trying a head graphene prestige pro. I use the 2014 version which is on sale at racquetguys (CAD & US site). From what you are saying you like your setup the exact same way i do. 16×19, 11.7oz strung, strong on serve, controlled on groundstrokes and you can really lay into the ball and flatten it out. 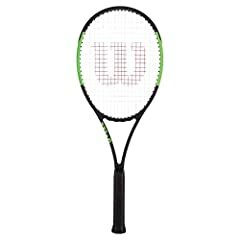 I am fairly positive you will love it should you demo it and wouldnt recommend buying a racquet until you do. What string do you use for Pure Strike? Hi Tim, nice review. If you are still searching for a racquet, I would really recommend you to try out Prince Tour 100P (100inch head, 18×20 and 305 grams). This racket is fantastic. I also tried some of the rackets you tried, Yonex E zone dr 98, Babolat pure aero, and apart from them tried out and played with Babolat pure drive tour, Wilson pro staff 97s, Yonex ezone dr 100 and Head radical XT graphene Pro, and from all of them Prince is the winner. My playing style is similar to yours. It is extremely arm friendly, has huge pop (compared to Yonex dr 98, both have same stiffnes rating of 62RA), I can hit flat best of all the racquets I tested, and is surprisingly spin friendly for 18×20 pattern. It serves like monster, flat serves are bombs with precision (it serves better than both Babolats, same pop on serve, but much much more precision), volleys and drop shots are really sweet. All the best! Did you put the string too tight? Or hit the frame frequently.. It happen sometimes. 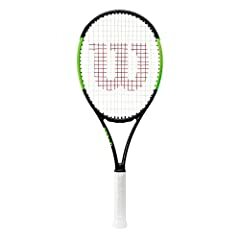 Which racket is most firm to the radical Head Pro or the Wilson Blade 98 ? Which has more stability Radical Head Pro or Wilson blade 98 ? I think the low power on serve with the blade is just a function of having a higher swingweight/mass in the hoop. It makes it slower to speed up and whip round. All you do is add some weight in the handle like a leather grip to get some of the whippy action that the DR has. Have tried all these racquets (not the counterveil yet, I have an earlier version) and I actually return to the blade for its all round qualities and solid/weighty feel. Could use any though. (And yes for whatever reason yonexs get good serve power – I think it’s being head light and fast through the air, but that can be annoying on other shots – like a two handed backhand, where I feel like I’m swinging air). What do you think about Tecnifibre? I’ve tried all of those sticks and the best one for me was the Bab Pure Aero (but the Tour version). The only string that felt good to me, though, was RPM blast in it. The poly reigned in enough of the power for me. Good video. 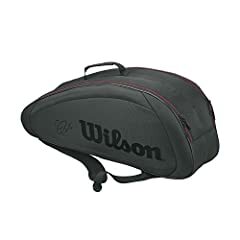 With one or two hands are you playing backhand- I’m playing it with one hand, in order to choose for one of the 3 racquets- Yonex Ezone 98, Babolat Pure Strike or Wilson Blade 98? Never knew the importance of different rackets thanks, I went 12-1 senior year high school using a kiddish racket I’ve had since age 12 and still use at 28, am I just amazing at tennis then? Must have great strings cuz I’ve never broken em…. Ahh, I switched from the DR 98 to the new EZONE 98 and I recommend you giving it a shot if you are still looking! It’s a nice blend between the DR and the Aero Drive. It gives you enough pop to hang with the big hitters who just graduated from D1 programs and enough control to change directions and hit drop shots etc (old school game). Good luck! Great Video. You should try the Pure Strike VS. It has a unique feel but hits such a heavy ball!! Make sure to string low in tension. I normally string about 50 and I am at 44. Lower tension works best in these frames. Great racket review! Maybe the crack occurred during your USTA match against us! It was a great match to watch. You gave Jim a run for his money. Luckily you guys received the wildcard so good luck in the postseason. I really like your video. Just a lay person’s real world views. I have two suggestions: tone down the background music, way down. And tell the audience what strings you used and tension in each of the racquets you tested. Looking forward to seeing more of your reviews. Overall, great job. Sweet. Glad you’re back man. @tennistim awesome reviews! I really like your music selection as well.. good luck in your search for a new racket! You can still string the racquet and it wont break (yet). But eventually, the racquet will break. have you tried Head Graphene Touch Speed Pro ? You must rage and slam it on the courts a lot….graphite is brittle and easily stress cracks. Good video, nice to hear a “normal” player’s comments as well in addition to the TW comments. Interesting to hear what you end up with. I have played with the Pure Stike for over a year now but I’m currently demoing the Blade as well. Stop hitting so hard kid! Let your frames live!